I had been wanting to read Brown Girl Dreaming ever since I learned that it won the National Book Award for Young People’s Literature. This memoir written in verse is Woodson’s beautiful description of her family history and her youth. Woodson’s story also serves as a representation of the larger history of how black people existed in the United States in the early 20th century through the Civil Rights era. I thought this was beautifully done and definitely thought it deserved all the praise it received. Sometimes the idea of a book in verse can turn people off, but I think after the first few pages you’ll be surprised at how easily you adapt to the format. This is marketed as a Young Adult title but I think it has broad appeal. I definitely recommend it. This could be a perfect book for the month of April: National Poetry Month! Fiction · Heather D · Historical Fiction · Quick Read! Orphan Train is the story of a teenage girl named Molly who lost her parents at a young age and has been passed from one foster home to the next. She is now seventeen and if she can make it to her eighteenth birthday without any mishaps, she will become a legal adult and free from anymore foster homes. One day she is in the library and runs across one of her favorite books. She sees that there are several copies and notices one of the books is in less than perfect condition. Molly decides that no one would even notice if it went missing. Much to her surprise she was wrong. Now she must do fifty hours of community service or serve time in juvenile detention. Her friend sets her up with a ninety-one year-old woman named Vivian who needs help cleaning out her attic. As it turns out, Molly and Vivian have way more in common than either one of them could have imagined. 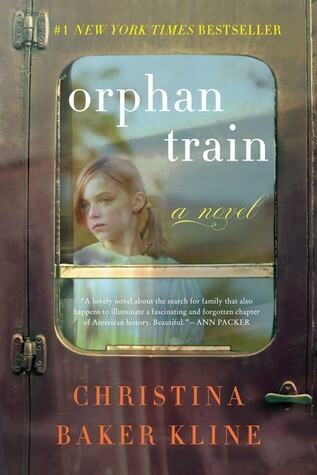 Before reading this book I was not aware that the orphan train even existed. Even though it is a fictional book, Christina Baker Kline does a wonderful job of bringing to life facts about the train and the children it carried. She developed the main characters, Molly and Vivian, in a way that made it easy to fall in love with them. She also does such a beautiful job of intertwining the past and present stories of the two women and ultimately their unlikely friendship. This book gives hope for lives that are filled with loss, rejection, poverty, and loneliness, that there is always a possibility of acceptance, perseverance, love of a family, and finding peace. Orphan Train is a quick historical read but the characters, along with their stories, will not soon be forgotten. 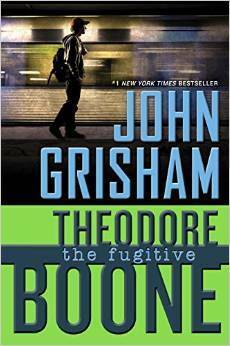 Theodore Boone: The Fugitive is the fifth book in the Theodore Boone series by John Grisham. In this young adult novel, 8th grader, Theodore Boone, goes on his class trip to Washington DC. While riding the Metro in Washington DC, Theodore spots Pete Duffy who is accused of murdering his wife and jumped bail while awaiting a retrial. Theodore and his Uncle Ike help the FBI recapture Pete Duffy. The remainder of the book deals with the trial of Pete Duffy and the illegal immigrant status of the eye witness who could get Duffy convicted. Grisham introduced Pete Duffy in Theodore Boone: Kid Lawyer. You didn’t have to read that book to understand what is going on in this book. Theodore Boone: The Fugitive has a little cliffhanger at the end. I wouldn’t be surprised to see Pete Duffy’s name again in a future Theodore Boone novel. I checked the reviews for Theodore Boone: The Fugitive on Amazon. There were some 1 star ratings because those readers thought that this was a John Grisham novel written for adults. There is definitely a difference between Grisham’s adult and young adult novels. Both the adult and young adult novels are well written and enjoyable. Bone Gap is the second title being discussed by SCC’s Between the Covers book club. This young adult novel got a lot of attention: winning the 2016 Printz Award and being a National Book Award finalist in the Young People’s Literature category. I picked it up without knowing a lot of background information besides the fact that people really enjoyed it. I was surprised to learn there was a magical realism element to the text and that the author pulled elements from mythology to enhance the story. Bone Gap, Illinois is a small town where everyone knows everyone’s business. Finn and his brother, Sean, live alone after their mother leaves them to move west with her new boyfriend. Finn is about to enter his senior year in high school. Sean had planned to become a doctor, but he gave up that dream when he realized he’d have to stay home and support Finn. Their lives brightened when Roza appeared. They didn’t know much of her backstory but she made their lives seem whole again. When Roza goes missing Sean effectively breaks down and Finn berates himself because he saw the whole thing happen, yet he can’t seem to offer any information about the man she was last seen with. The story is told from alternating points of view – we get Roza and Finn’s perspectives most of the time. As Finn continues to try and figure out what happened to Roza and how to bring her home it becomes clear that there are gaps in Bone Gap, ways to slip between worlds… But once you’ve slipped into a new realm, it might not be so easy to get back out. Can’t wait to discuss this at book club on March 30! 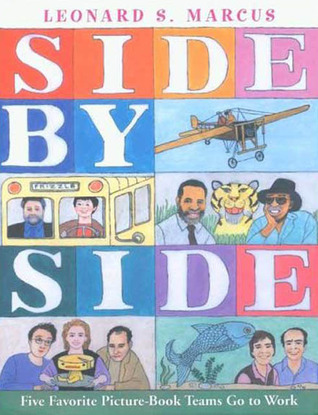 Side by Side looks at five different picture book teams who have worked together to create successful picture book collaborations. Each of the teams highlighted came into their working relationship in different ways and it was interesting to read about how they worked together. Prior to reading this I hadn’t realized that a lot of the time authors and illustrators don’t know each other in advance. Publishers will often read an author’s work and then reach out to an illustrator that they think would be the best fit for the feel of the story. This book was interesting to me as a parent, picture book lover, and librarian, but it’s also accessible to younger readers who may have an interest in writing or illustrating children’s books. I’ve always had a deep appreciation and love for picture books. This feeling has only intensified now that I have a young daughter who I’m eager to expose to new and classic titles. In my desire to gain a better understanding of what goes into making a picture book a success I’ve gone searching for titles that can speak directly to that – which introduced me to the work of Leonard S. Marcus. Marcus is essentially my go-to guy for all things related to picture books. 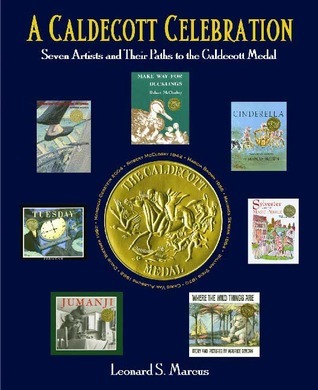 I read the second edition of A Caldecott Celebration which was published to celebrate the 70th anniversary of the Caldecott medal. It highlights seven winners of the award (one for each decade) and looks at the process and inspiration that led them to create the books worthy of winning the medal. The illustrators highlighted in this title are: Robert McCloskey, Marcia Brown, Maurice Sendak, William Steig, Chris Van Allsburg, David Wiesner, and Mordicai Gerstein. I came away from this book with a greater understanding and appreciation for the depth and consideration that goes into visualizing and creating the feel of a picture book. I’ll certainly be reading more of Marcus’s work… and spending a fair amount of my free time perusing picture books that catch my eye. It’s so easy to get caught up in them! 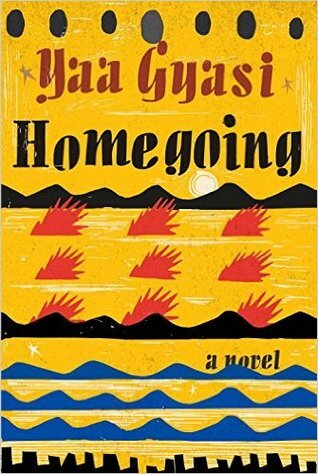 I head about Homegoing through the Books on the Nightstand podcast I listen to. One of the hosts mentioned how excited they were for this book to be released this summer 2016. I was lucky enough to get to read an eGalley for this title and it was pretty impressive. If you read The Twelve Tribes of Hattie by Ayana Mathis (which I loved), this novel has a similar feel and will almost certainly appeal to you. The story begins in 18th century Ghana with two half-sisters, Effia and Esi, that have no idea the other exists. The sisters go down two very different paths – Effia marries a white Englishman and lives quite comfortably, while her sister, Esi, is captured and sold off into slavery. From here the descendants of the two women live lives directly influenced by these matriarchs. The reader experiences the many things changing in America and Africa from the 18th century to the present day through the progeny of these women. I really enjoyed this book and I think a lot of other people will feel similarly when the book is officially released this summer.